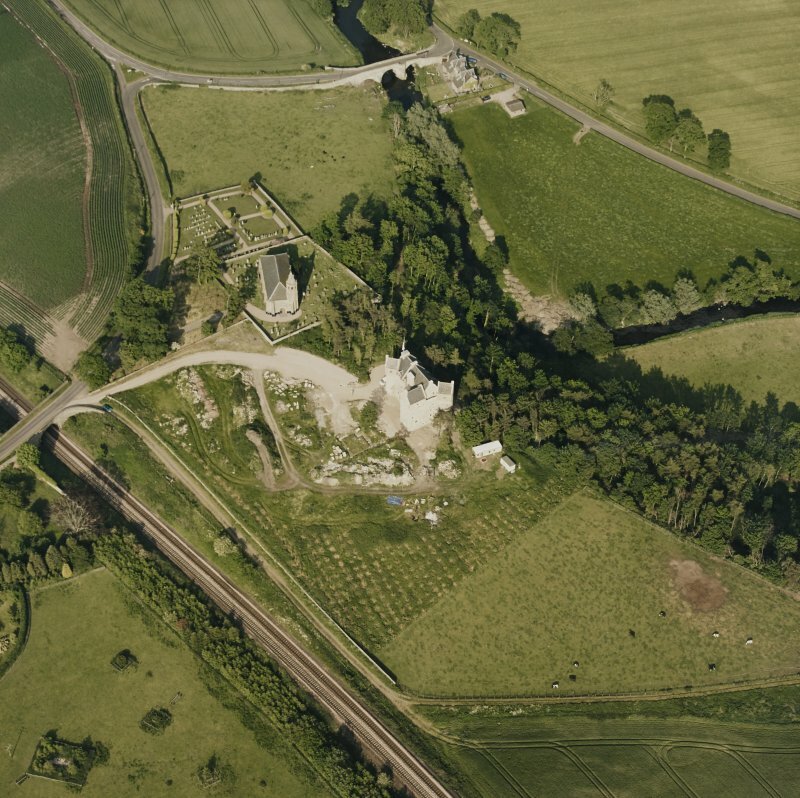 Dairsie Castle, oblique aerial view taken from the WSW, centred on the remains of a castle, a church and Dairsie bridge. 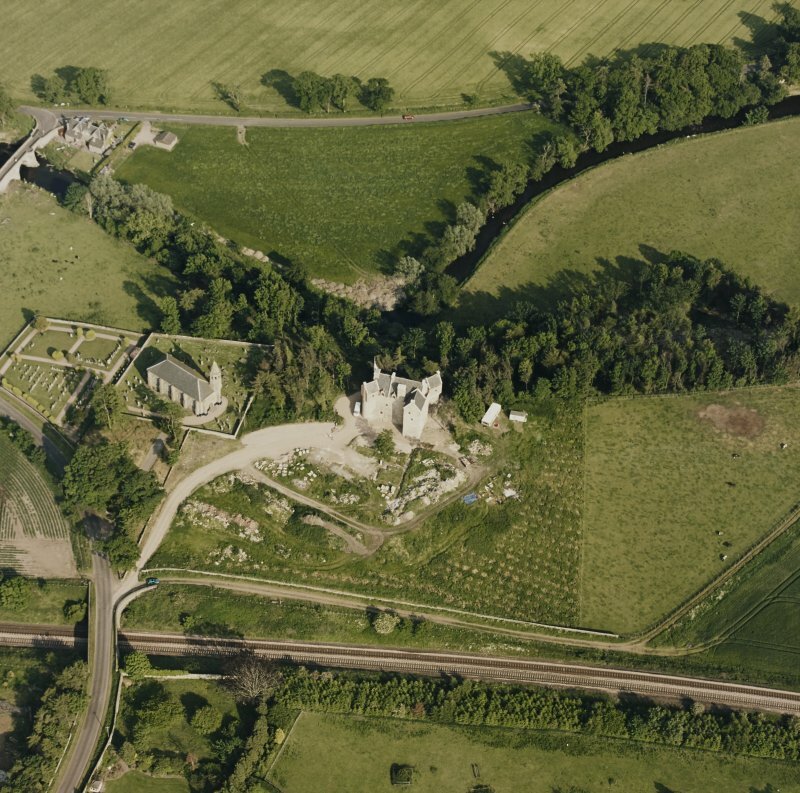 Dairsie Castle, oblique aerial view taken from the NW, centred on the remains of a castle, a church and Dairsie bridge. 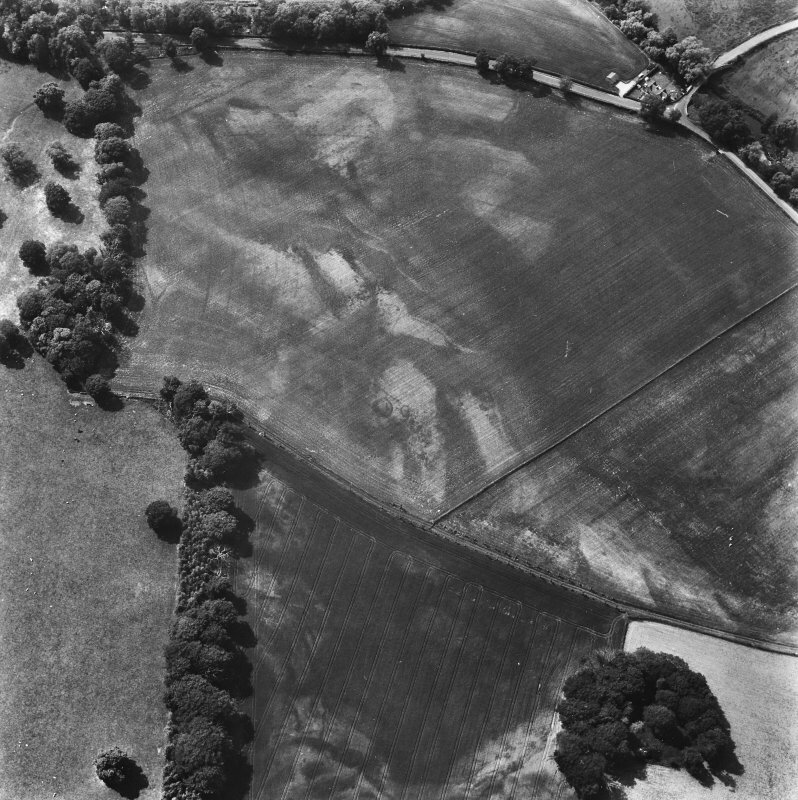 Oblique aerial view of the cropmarks of the pit and the possible enclosure at Dairsie, looking NNE. For (adjacent) cottages, see NO41NW 32. 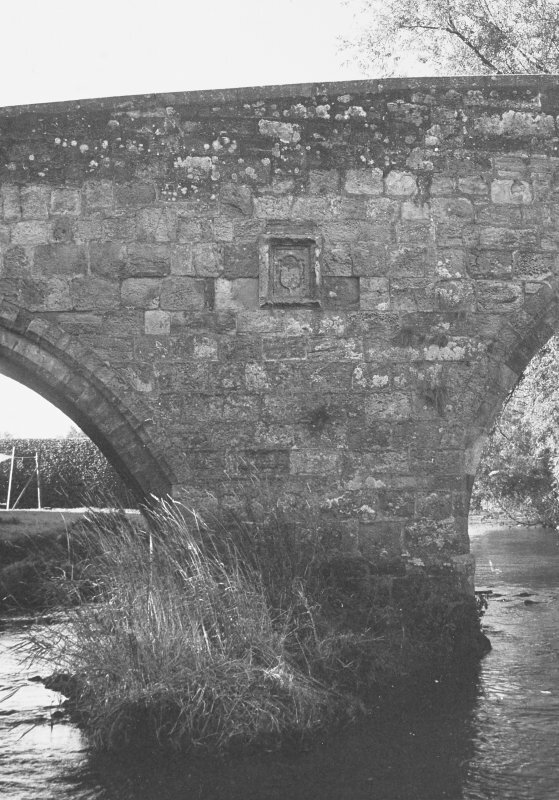 Dairsie Bridge bears the arms and initials of James Beaton, Archbishop of St Andrews and there can be little doubt that it was built by him during his episcopate from 1522-1538. 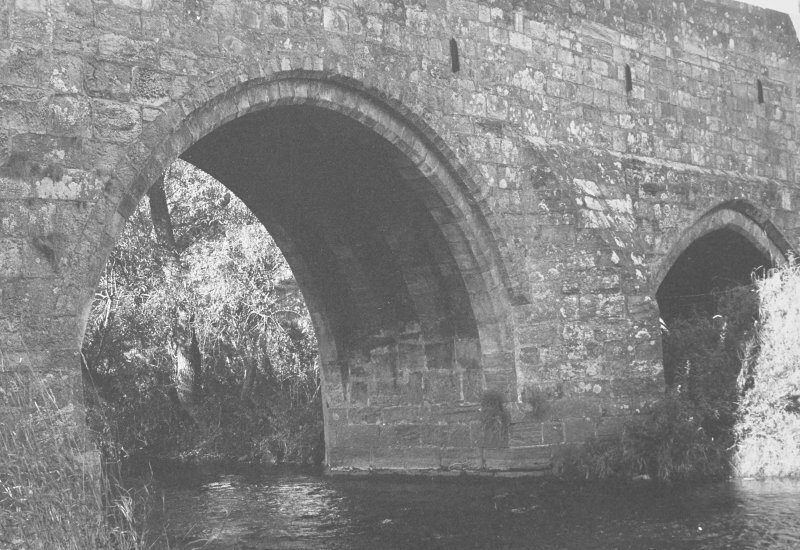 A medieval bridge of three arches, each with four stout chamfered ribs on the soffit. 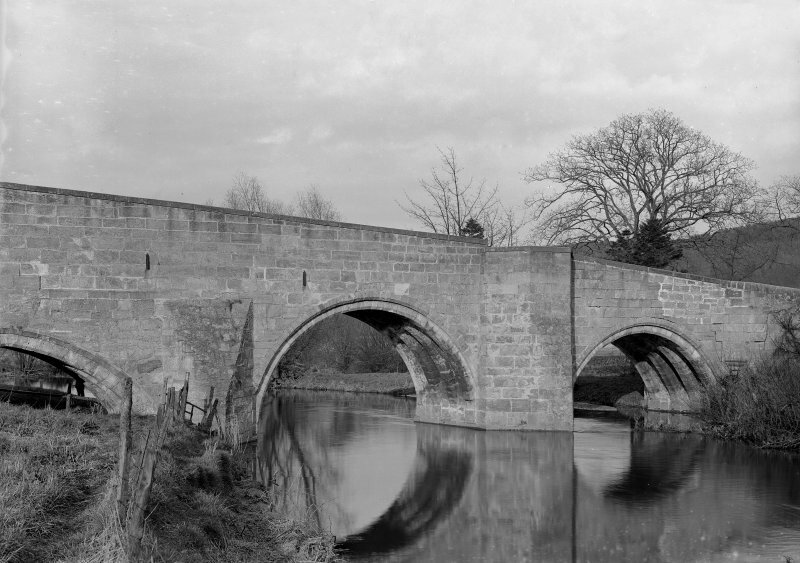 The bridge is 97ft 10ins long and the roadway 11ft 4ins wide, there are projecting cut-waters on the piers. 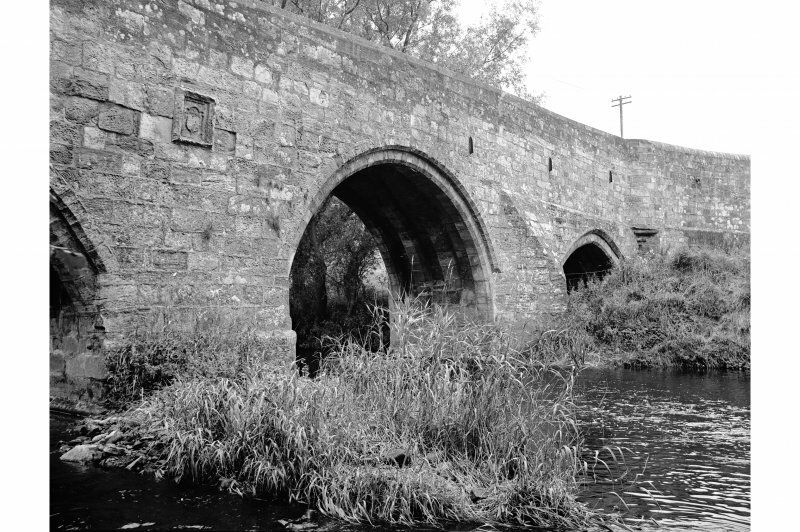 The parapets and the approach at either end have been renewed but otherwise the bridge remains unaltered. 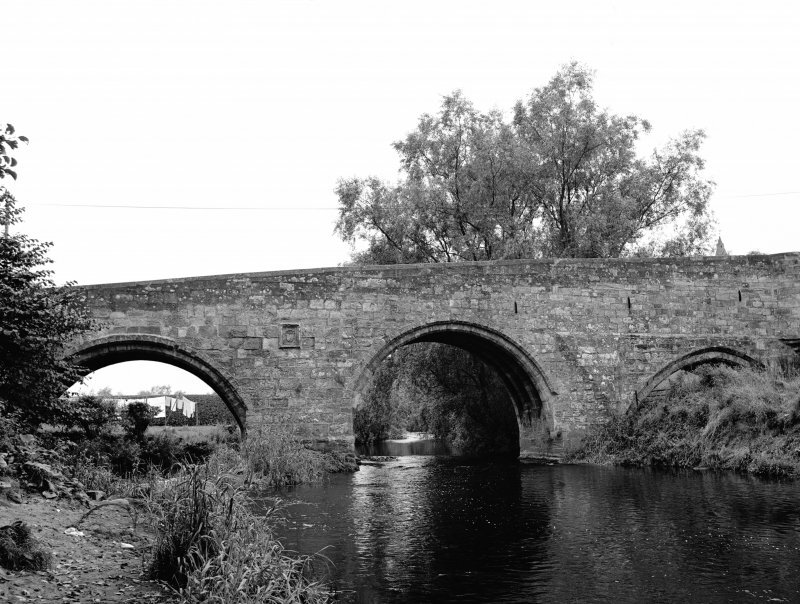 There was certainly an earlier bridge at Dairsie 'as one summer day in 1496, as the king journeyed from St Andrew's to Stirling, he passed over it, and the Lord High Treasurer records the sum of 'Viijd' as given 'to ane pur wif at the brig of Dersie as the king raid by''. 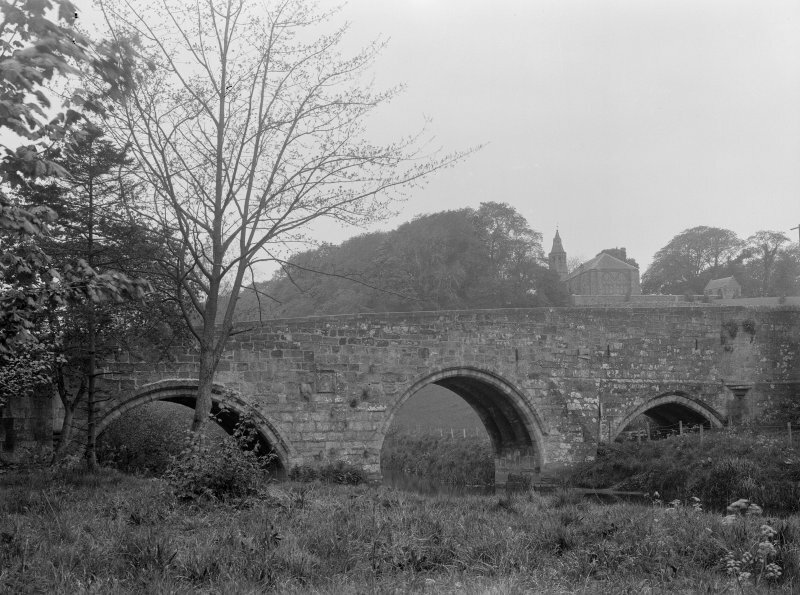 Dairsie Bridge is as described and illustrated by RCAHMS. 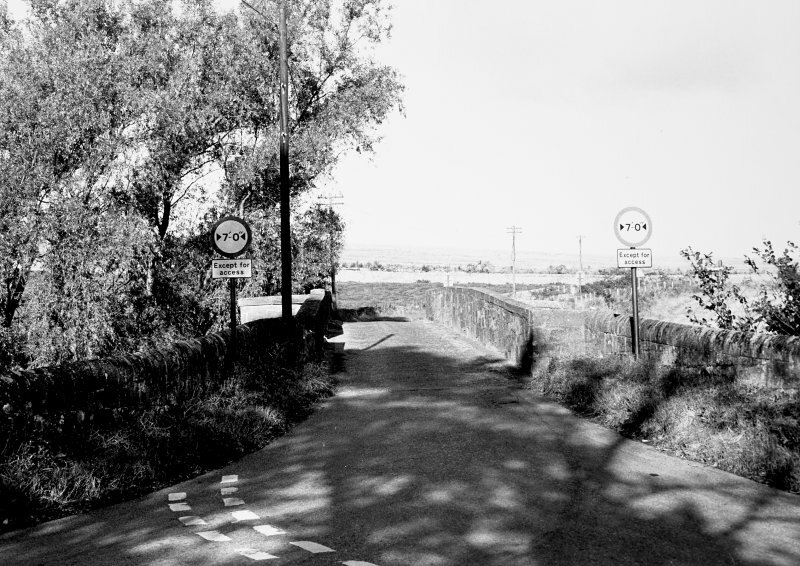 It has been restored, and is still used for vehiclar traffic. 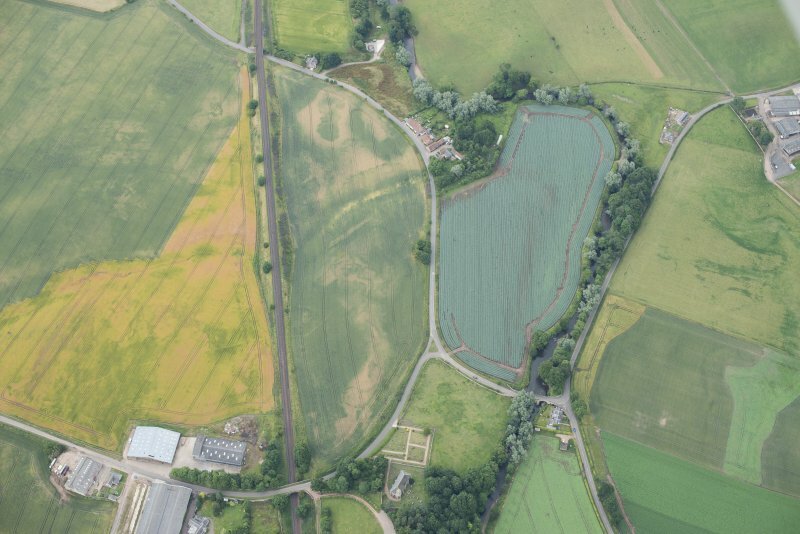 There is one bay on the bridge near the SE end (see illustration). 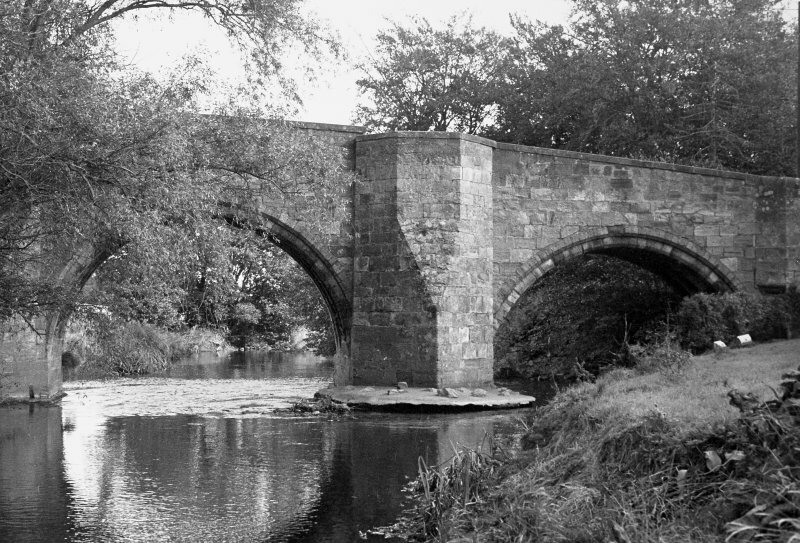 The River Eden runs under the two southern spans - the remaining span is on the bank. 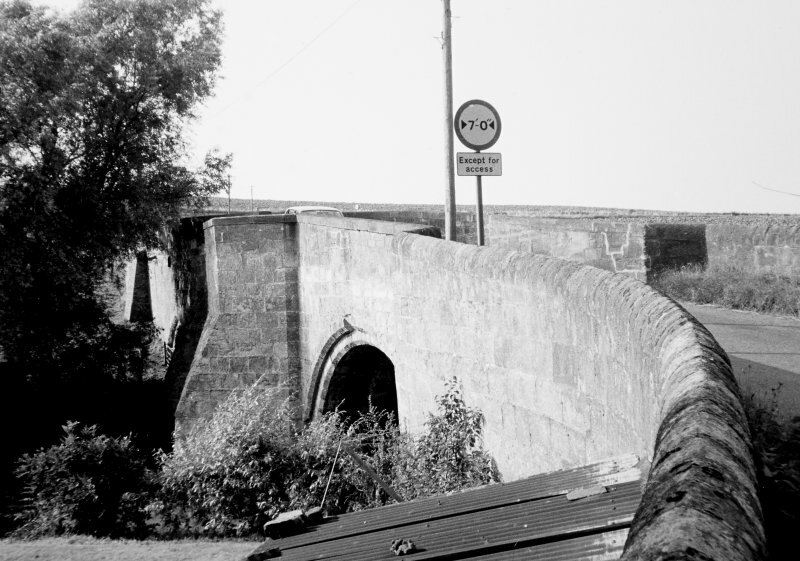 The armorial panel mentioned is the only inscribed stone seen on the bridge - it is on the east face and is considerably weathered. 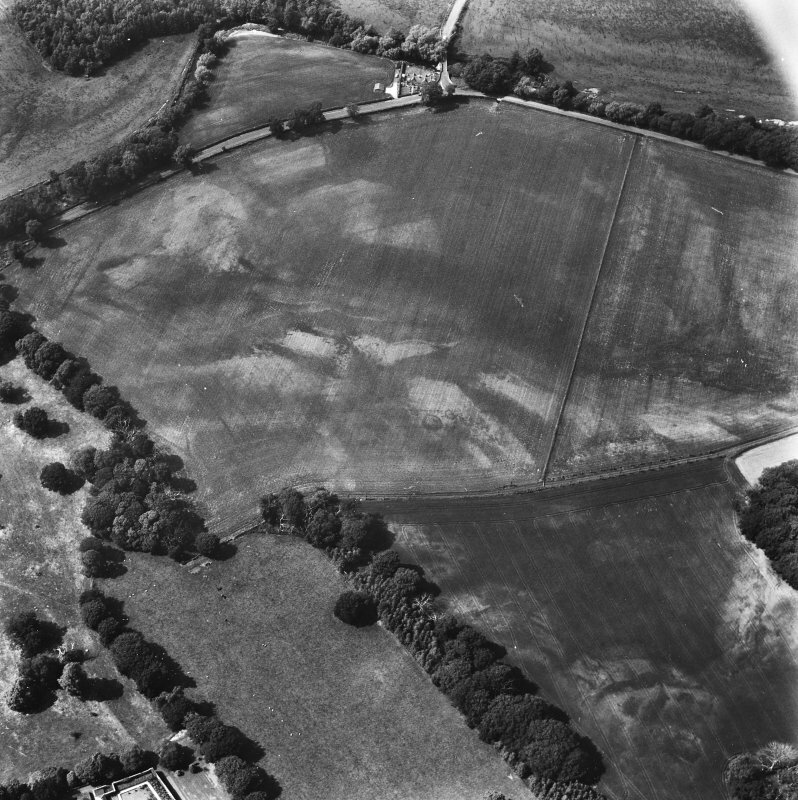 Visited by OS (RDL) 25 May 1964. 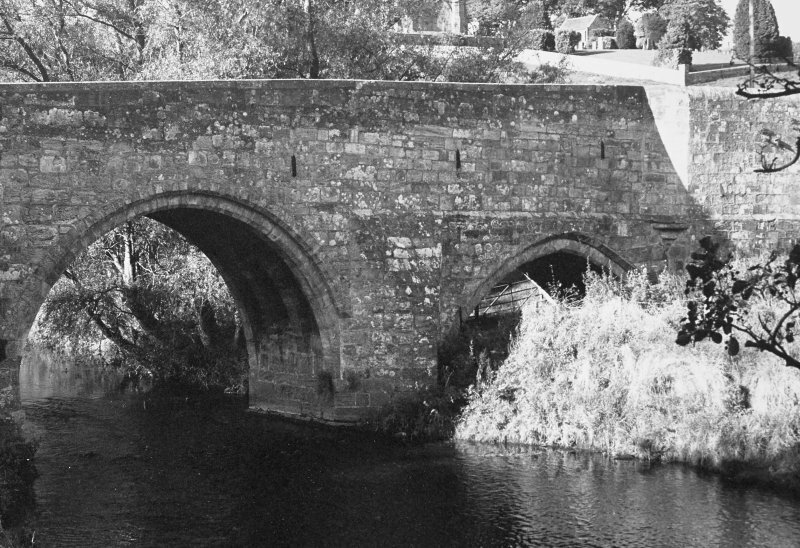 This bridge carries an unclassified public road across the River Eden which here forms the boundary between the parishes of Dairsie and Kemback. 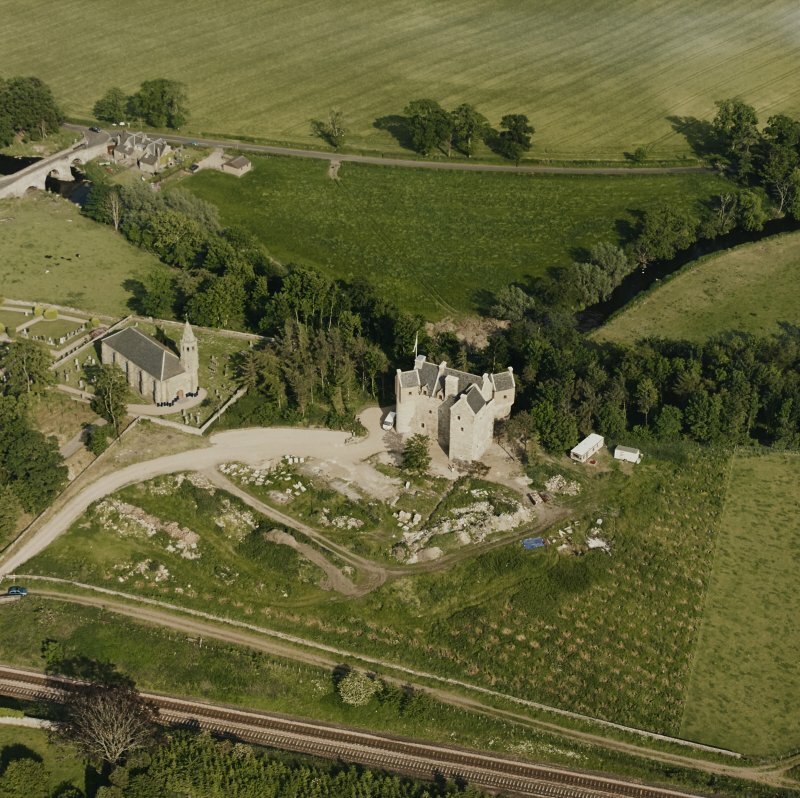 Information from RCAHMS (RJCM), 13 February 1998.